This 21st century classical musician mixes the musical styles long-established by the likes of Bach, Beethoven, Chopin and Debussy into the modern world with electronic beats and dub stepping. The absolutely unique Lindsey Stirling has stepped into the futurist world of animation and electronic beats, and invites you to join her during the holiday season! Being one the biggest artist in recent years to make an insane breakthrough, it'd be foolish if you were to miss seeing her talent live. Stirling returns this winter with another incredible Christmas tour, The Wanderland tour, which sees her playing new Christmas tracks off her upcoming album, Warmer in the Winter Deluxe Edition which is out later this year. Featuring tracks, 'I Wonder as I Wander' and 'We Three Gentlemen'. Taking to YouTube, she has presented impressively choreographed self-made videos, where she combines dance and performance art with playing. 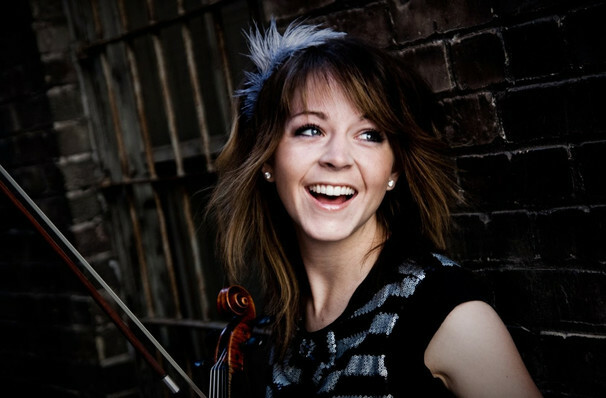 Her Channel, Lindsey Stirling, has had a staggering two billion views and ten million subscribers since 2011. Ever inventive and engineering, the last five years have been incredible for Lindsey. She has toured the world, made videos in some distinctive, breathtaking locations, and released her Christmas album, Warmer in the Winter, which hit number one on the Billboard charts Top Holiday Albums and Top Classical Albums. Sound good to you? Share this page on social media and let your friends know about Lindsey Stirling at 1stBank Center. Please note: The term 1stBank Center and/or Lindsey Stirling as well as all associated graphics, logos, and/or other trademarks, tradenames or copyrights are the property of the 1stBank Center and/or Lindsey Stirling and are used herein for factual descriptive purposes only. We are in no way associated with or authorized by the 1stBank Center and/or Lindsey Stirling and neither that entity nor any of its affiliates have licensed or endorsed us to sell tickets, goods and or services in conjunction with their events.